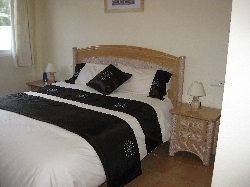 This is a first floor two bedroom apartment, constructed in traditional Spanish �pueblo� style. 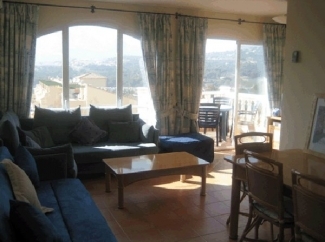 There are just 4 apartments to each of the 13 �blocks� within the development the apartments are all south west orientated with lovely mountain views and a communal swimming pool. 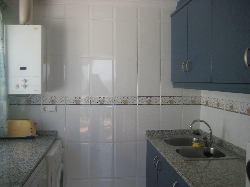 The apartment is situated within the heart of Calpe. 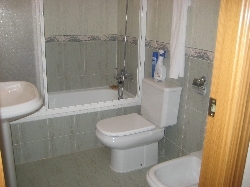 The development is very secure �gated community�. The apartments to each building consist of - two apartments on the ground floor and two on the first floor. 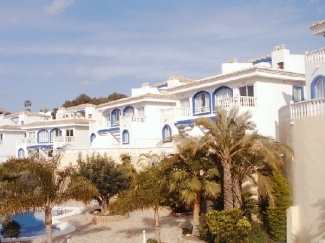 They are approximately 15/20 minutes walk away from both the town centre and Calpe�s golden sandy beaches. 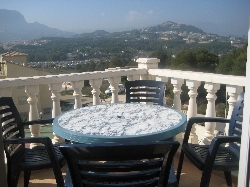 There is also a large roof terrace with sun loungers and a built in barbeque for you to relax and enjoy along with a small terrace on the first floor for you to relax and take in the beautiful mountain views. 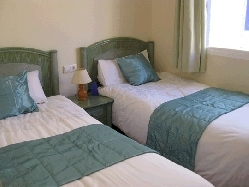 Long stays (any bookings more than 4 weeks) at the apartment are available between January to March and November to December at the rate of �200 per week.